Moving across town, or across the country, takes a lot of work and a lot of research, however, using the internet may end up costing people thousands more, especially if they use a moving broker. Debbie Rensvold, of Poinciana, said that’s what happened to her during her search for a move from Florida to Minnesota. “I wouldn’t wish this entire experience on anybody,” Rensvold said. Rensvold said after her divorce, she went online to get an estimate of how much it was going to cost her to move all her stuff. She filled out a couple of moving cost questionnaires and then got flooded with phone calls from companies offering to do the job. What she didn’t realize is the company she picked was a broker not an actual mover. 1776 Moving & Storage’s moving services help to move Orlando families anywhere around the world. Whether it’s down the street or to another continent, we treat your family like our own. Contact us for more information on how we can make your overseas move one step closer to being home again. 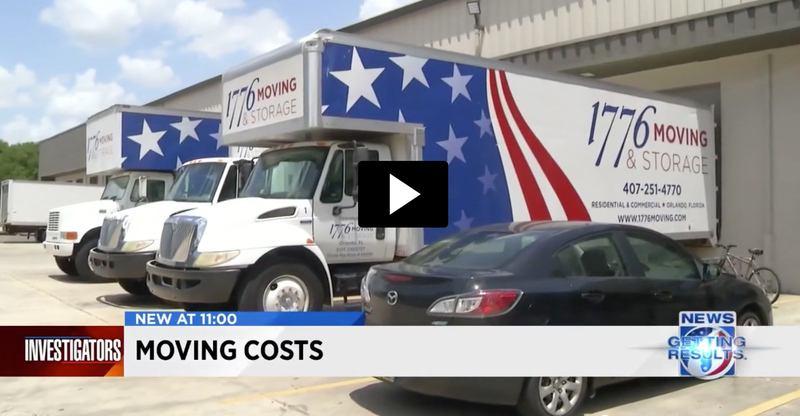 1776 Moving & Storage, Inc.
Mon-Sat: 8 A.M.- 5 P.M.
1776 Moving and Storage, Inc. is a family owned and operated business specializing in local Orlando and point to point moves within Florida. With more than 20 years of executive moving experience, we are proud to offer quality moving and storage services at competitive rates to the Florida marketplace. Fully licensed and insured.